Tyhan Brown, 18, of the 1800 block of Kossuth Street in Camden, is charged with first-degree murder in the fatal shooting of 8-year-old Gabby Hill-Carter. The little girl killed in Camden by an errant bullet was fleeing for her life when she was shot the evening of Aug. 24, according to the probable cause statement. 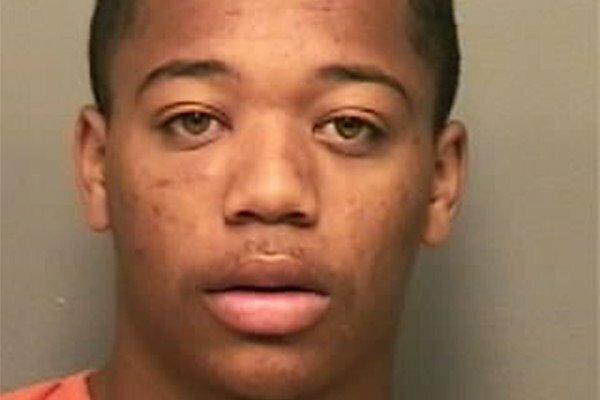 Cash bail of $1.5 million was set for the alleged gunman, Tyhan Brown, 18. The Camden resident was in Tennessee for a month before authorities tracked him down. He’s accused of shooting Gabby Hill-Carter, 8, who had nearly made it to a doorway of a nearby home when a bullet struck her in the head. She died two days later. The intended target, Amir Dixon, had run toward the same doorway after the first shots were fired. Camden County homicide prosecutor Christine Shah said the shooting was part of a feud between Brown and Dixon. There were Facebook posts, a gun was flashed, a car window shot out and then Dixon was stalked by several, allegedly including Brown. "Just a few hours later multiple shooters descended on South 8th Street and attempted to shoot Amir Dixon, but instead killed Miss Hill-Carter," according to a probable cause statement read at Tuesday morning’s hearing. Brown left Camden on the night of the shooting. He travelled with his mother and girlfriend to his aunt’s house in Sicklerville. A family friend made arrangements to fly Brown to Nashville, Tennessee. Homicide detectives spoke wiith Brown in Tennessee on August 30, 2016. Brown told detectives he was with his mother and girlfriend at his aunt’s house in Sicklerville at the time of the shooting. A warrant to search the phone was executed. An FBI analysis showed Brown’s phone was in the area of 8th and Spruce Streets at the time of the homicide. Analysis further showed that although Brown did travel to Sicklerville that evening, he did not do so until approximately 10 p.m. The suspect's mother and his girlfriend have been charged with providing false alibis for Brown.